As you know I adore purple (if you’re new around these parts you’ll soon learn) so you can imagine how thrilled I was to receive this bottle of purple sauce from Premier Inn! 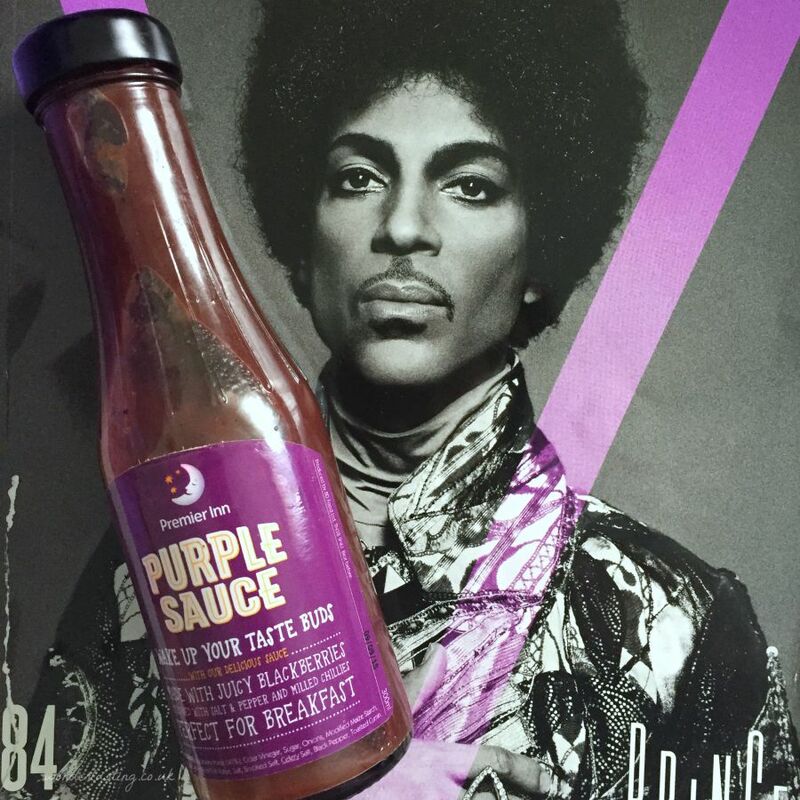 Made to match the hotel chain’s trademark colour, the recipe for the purple sauce was created by celeb chef Ed Baines. 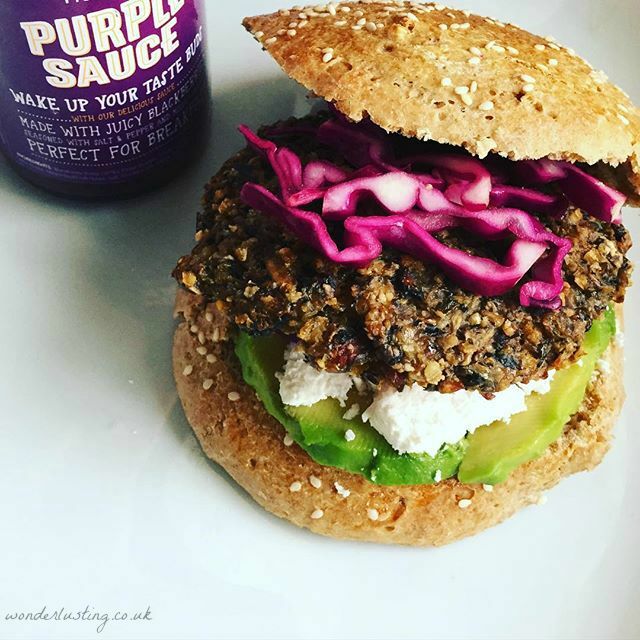 Looking at the ingredients lists – it’s all natural and suitable for vegetarians, with the colour coming from blackberries no added artificial additives, colourings or anything weird. The flavour reminded me more of a slightly spicier less sweet brown sauce. It’s meant to go down a treat with cooked breakfasts. I’m Team Red where breakfast is concerned. I prefered it more as part of my veggie burger fixings. It was also tasty as a dipping sauce.